Duration of the course is 3 days + 1 follow up day 3 months later for teacher training. 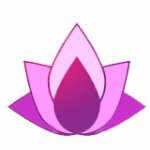 At Reiki Enlightenment we support our Reiki Students with a Reiki Share Group, and ongoing support throughout your training and spiritual development. If you prefer to split your Art/Masters training, we give the option of 1 days training for ART, and 2 days training for the Master Class at a later date, with the extra 1 day training 3 months later. The course outline and itinerary are in alignment with the ICRT and taught by Dee Banton Reiki Master/Teacher for 20years and Affiliated Teacher of the ICRT.